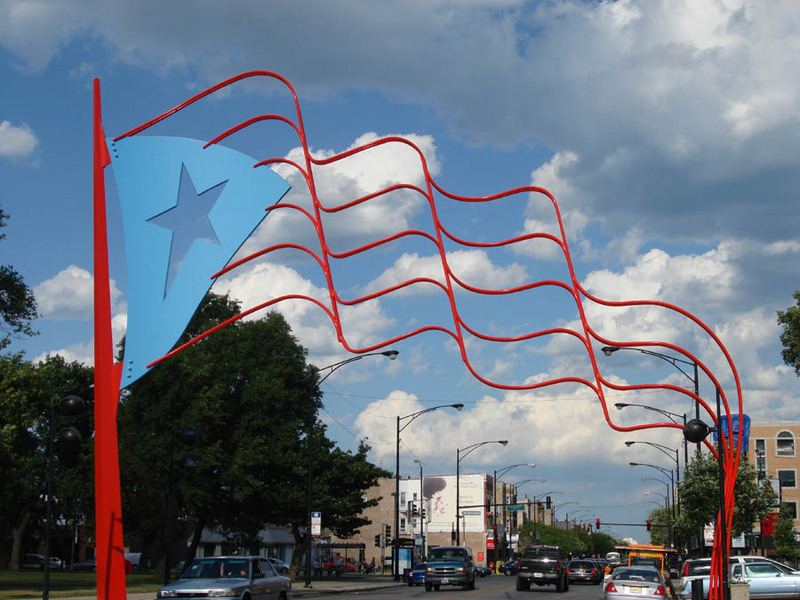 Initially a part of the North Park community, Humboldt Park is officially recognized as Chicago’s Puerto Rican neighborhood. Full of diversity and rich in culture, Humboldt Park has grown through time. As your go-to Humboldt Park movers, we will help you become part of this community right away, and help you start finding your new favorite places. Historically, the Humboldt Park community is rich with an immigrant population. Before the 1900’s, Danish and Norwegians called Humboldt Park home. Gradually, the Puerto Rican community started immigrating and establishing Humboldt Park as home. As your go-to Humboldt Park community right away, and help you start finding your new favorite places. Humboldt Park has become home to over to 55,011 people. Just under half of the residents at Humboldt Park has one of the highest percentages of Hispanic residents in Chicago. Average income for the Humboldt Park area is $68,514k. Decades before Humboldt Park was founded, it was merged as a part of Chicago’s West side. Humboldt Park’s Paseo Boricua is located in the stretch of Division Street and draws an estimated 65,000 attendees each summer. Now you’ve got the gist, here are some highlights—and basics—we found to help you start your best Humboldt Park life. National Museum of Puerto Rican Arts & Culture: Focused on Puerto Rican arts and culture. Puerto Rican Cultural Center: Community-based organization. West Humboldt Park Development Council: Renovated small park packed tightly in between. The 606: A newly renovated green space. Perfect for bikers, runners, & athletes. Puerto Rican Fare: Papa’s Cache Sabroso. Beach themed and BYOB. Mexican: Taqueria Huentitan Restaurant. Traditional Mexican. Comfort: Jimmy’s Red Hots. Go-to for hot dogs, fries, and tamales joint. Lounge: Continental Lounge. Cocktails and fast service. Beer: The California Clipper. Cozy bar featuring pub food. Central Park Fruit Market: Open until 8 PM. Evergreen Convenience Food INC: Local produce and focus. Café Colao: Coffee drinks and sandwiches. Boatbouse Cafe. Inviting space with excellent coffee. First Ascent Humboldt Park: World-class bouldering. Blast Fitness: Equipment, classes, and training. This has been a tiny sampling of the great things you’ll experience at your new Humboldt Park home. As a seasoned Humboldt Park moving company, we’ve learned all about the staples and cool places in the area. We’re happy to share more! As you’re planning your big move, cross one major thing off your to-do list, and book Humboldt Park movers who’ll take a load of stress off your mind. Call us at New City Moving, and we’ll help you move safely, smoothly, and on schedule, so you can settle right in and start living your greatest Humboldt Park life.